Travis Jones, Rush Properties and Cherry Park Properties founder, is a successful businessman and entrepreneur based in Johnson City, Kansas. Travis Jones Rush Properties relishes the opportunity to interact and connect with homeowners while giving them support with a variety of real estate needs. Travis Jones of Rush Properties is most notable for buying distress residential properties in preparation for complete renovation and/or lease. The rentals of Travis Jones Rush Properties have been acquired from foreclosure proceedings or private sale. 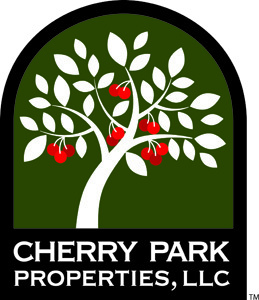 As a business partner of Cherry Park Properties, Travis Jones of Rush Properties is an integral source of information related to real estate foreclosure and other issues involving property ownership. As a highly valued member of the local community, Travis Jones and Rush Properties have brought more than 15 years of experience to the field. Travis Jones, Rush Properties and Cherry Park Properties founder, received a bachelor’s degree from Baker University and served as an member of the Alpha Tau Omega fraternity. As well, Travis Jones of Rush Properties attended Kansas State University. Throughout the year, Travis Jones of Rush Properties and his family assist inner-city churches and homeless shelters by serving hot, home-cooked meals for the homeless and with the local Schools. Travis Jones, Rush Properties founder, is currently an active partner in Cherry Park Properties and JOCO Real Estate Investments. Travis Jones of Rush Properties manages Cherry Park Properties and the company’s mission to serve Kansas and Missouri homeowners. Travis Jones, Rush Properties and Cherry Park Properties founder, has assisted a variety of clients by leveraging his extensive expertise in the areas of foreclosures and real estate investment. Since the late 1990s, Travis Jones of Rush Properties has burnished his reputation as an experienced and highly successful entrepreneur. Primarily, Travis Jones of Rush Properties gives expert insight for homeowners who are facing foreclosure by presenting a wide-ranging line of options. Travis Jones, Rush Properties founder, strives to increase economic activity in Johnson County, Kansas by managing reasonable improvement projects designed to boost property values. Travis Jones of Rush Properties has overseen the purchase of dozens of properties in Johnson County, Kansas that were improved and presented for resale. As a property improvement coordinator and investor, Travis Jones of Rush Properties possesses the ability to relieve homeowners of any property that would be considered structurally or cosmetically outdated and defective. Travis Jones and Rush Properties team members organized the creation of Project James 2:17, a community project that made a difference for residents in Johnson County, Kansas. By providing financial assistance for those less fortunate, Travis Jones of Rush Properties helped a number of families move into permanent homes. Project James 2:17, Travis Jones, Rush Properties, and other team members worked in tandem with local businesses to raise awareness and funds that were delegated for transportation, utilities and food costs for these tenants. According to Travis Jones, Rush Properties team members have also led volunteer efforts for a number of organizations throughout the state of Kansas. Travis Jones of Rush Properties has offered his time for local schools at activity nights, fundraising carnivals and concession stands. In his free time, Travis Jones of Rush Properties supports the athletic pursuits of children as a youth basketball coach. Travis Jones of Rush Properties is widely heralded as an industry leader in the Kansas foreclosure real estate market. By virtues of his efforts with these two companies, Travis Jones, the Rush Properties and Cherry Park Properties founder, continually strives to assist clients who are facing mortgage issues.